The kitchen is one of the most important rooms in the house because we use it daily and for a variety of reasons from cooking to eating breakfast to sharing a cup of coffee with a loved one. This is why you need the right design for this area. Your design should be innovative and smart, making the most of the space available to you. 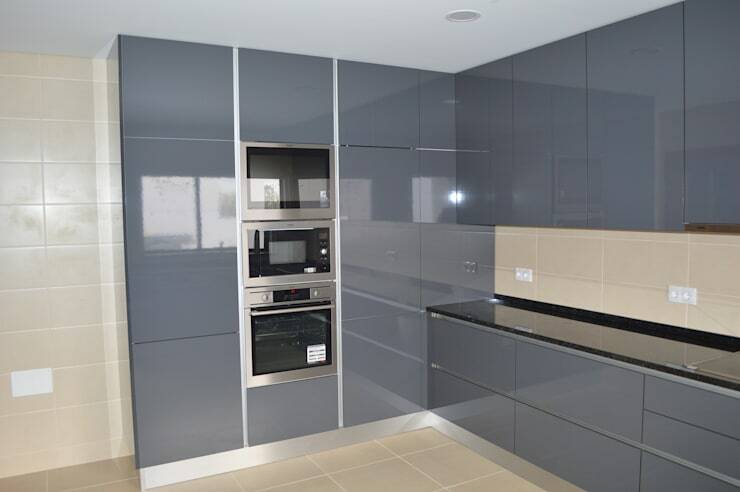 You also want to choose the right colours so that the cooking space is aesthetically appealing and works in harmony with the rest of the interior design. This is why today on homify, we have put together some ideas for some trendy and creative kitchens. These 16 examples will inspire and delight, showing you just how easy it is to have the kitchen of your dreams. In this American-style open plan kitchen, we can see how space has been utilised with plenty of cupboards and drawers. This allows for plenty of storage space. The black marble counter tops contrast with the beige cupboards, while the little kitchen bar creates a whole new work space or area for gathering over a casual meal or drink. In this design, we can see how a kitchen bar has been exploited for a multitude of functions. 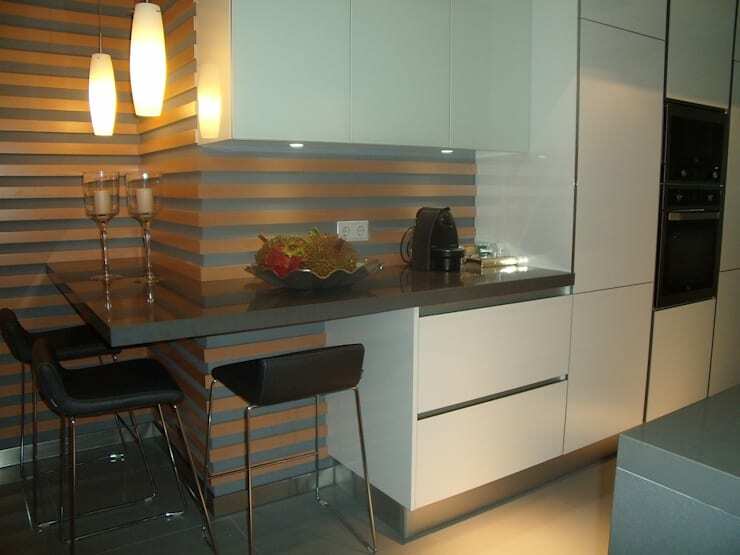 The marble counter tops work in harmony with the stylish striped wall, while simple lighting has been used to create a wonderful and cosy atmosphere. 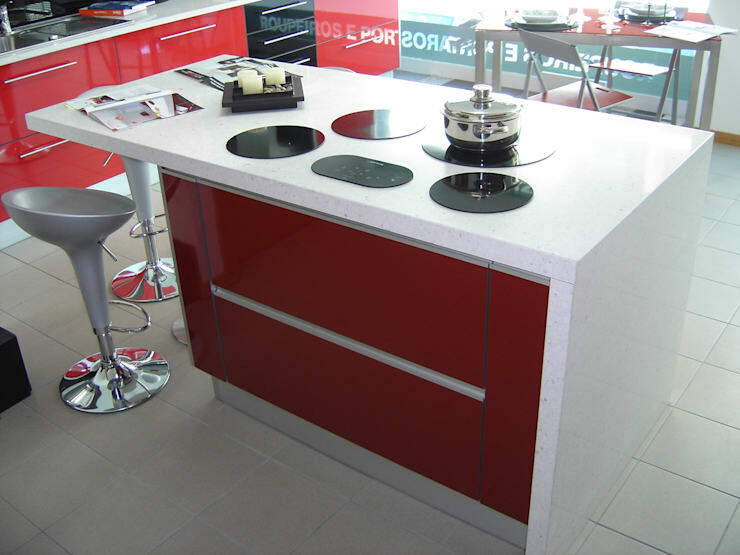 The use of white creates a striking balance of colours in the kitchen. 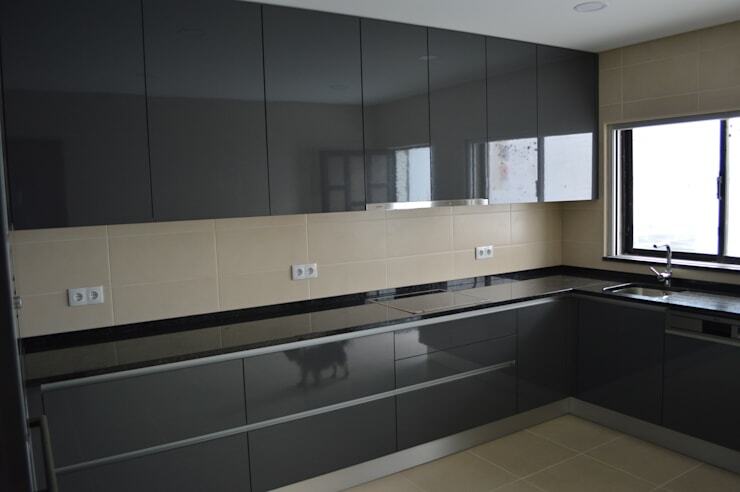 This kitchen, designed by professionals Ansidecor shows how you don't need to have a lot of accessories and furniture to achieve a beautiful kitchen. Simplicity can be key. 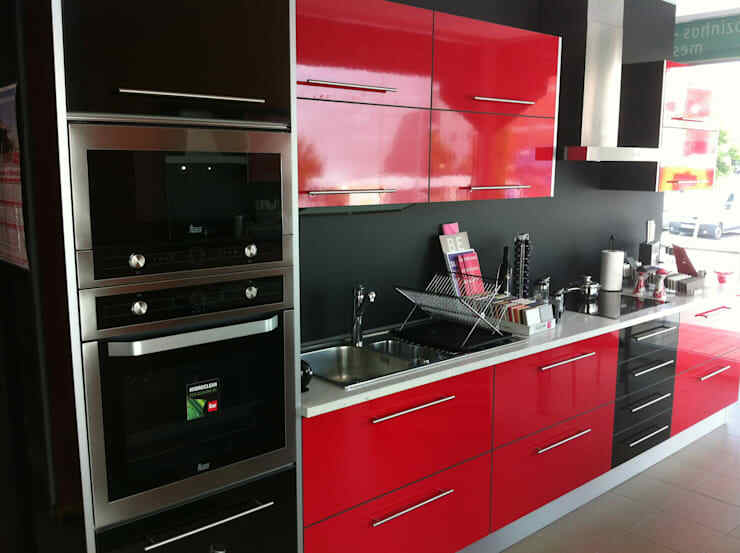 The use of red and black in a kitchen can create a nice aesthetic touch and create a simple and elegant kitchen design. 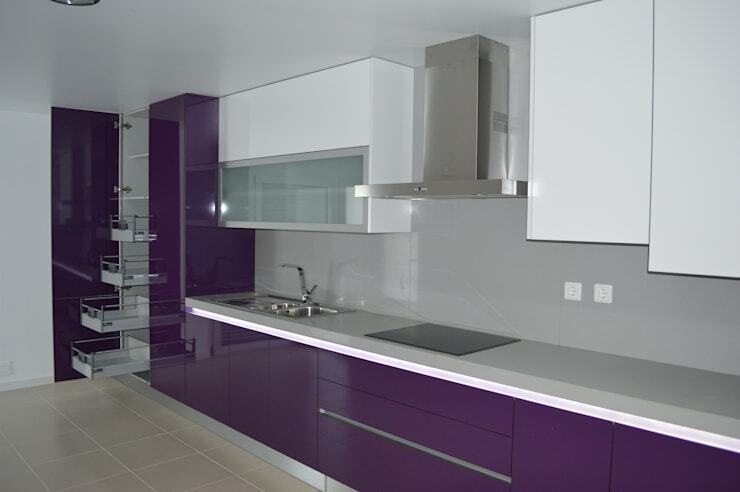 Don't you love the customised shelves in this space, which allow for easy access to crockery, cutlery and utensils? Consistency between the kitchen decor, walls and floor create a very modern look and feel. 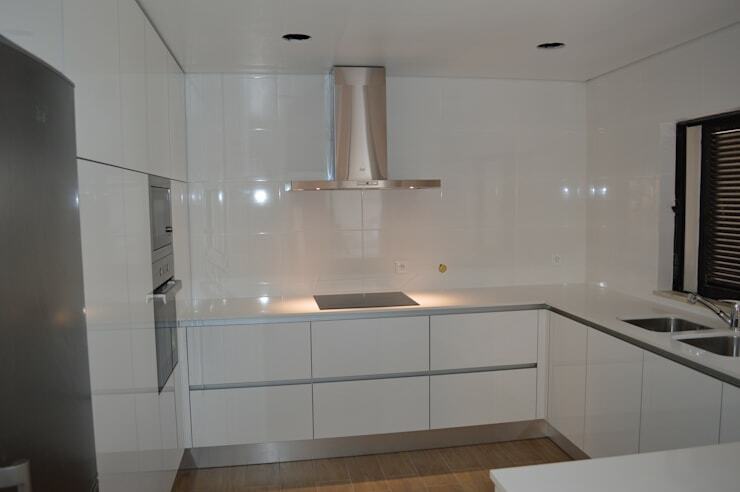 This predominantly white kitchen is enhanced by the gorgeous silver appliances and accessories. Simple and grand! In this kitchen design, every corner has been taken advantage of. 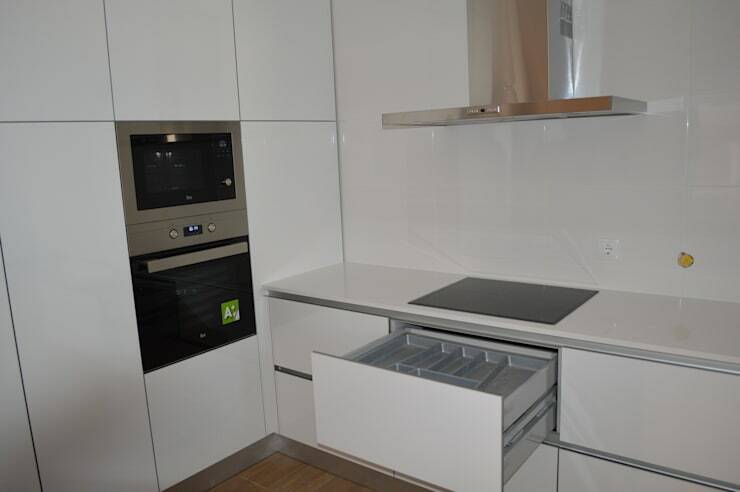 The L-shape of the space incorporates the oven and stove for easy use. 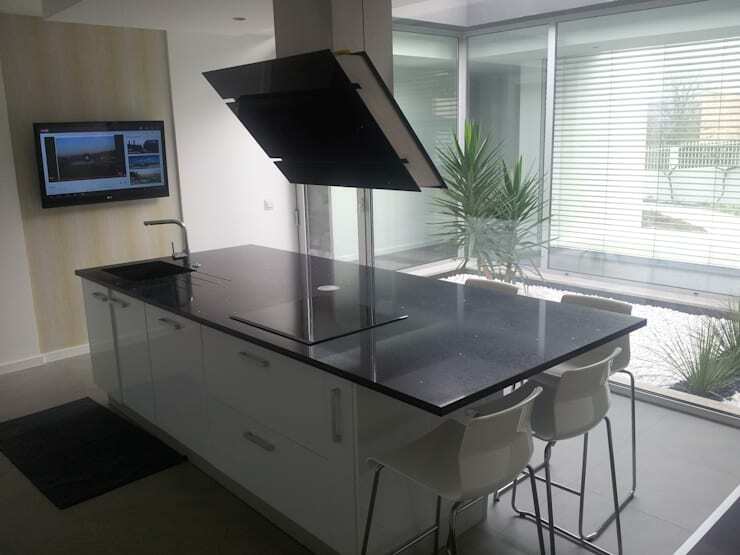 In this kitchen, we can see how grey cabinets reach all the way up to the ceiling, saving space in the kitchen. The black marble adds a simple touch of elegance. 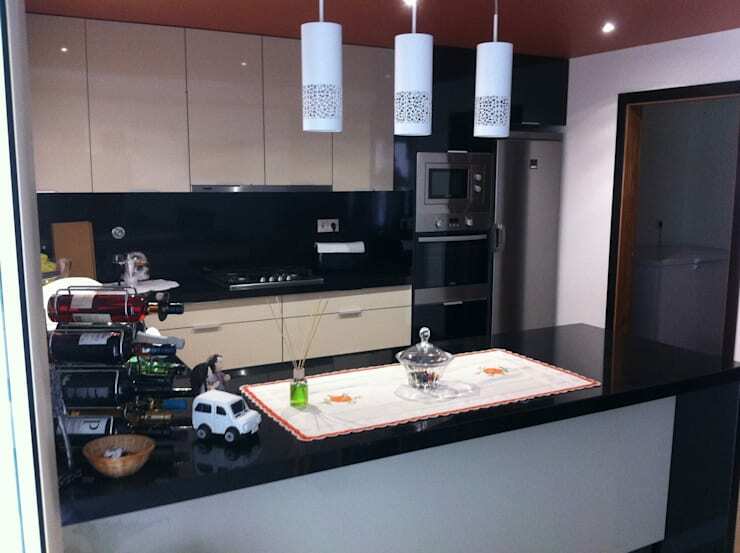 This distinctive kitchen is designed in a Scandinavian style, with a consistency between the kitchen decor. It is characterised by simple and elegant black colours as well as glossy floors and wall. This is a multi-purpose space that is dominated by clean lines and a sleek look and feel. 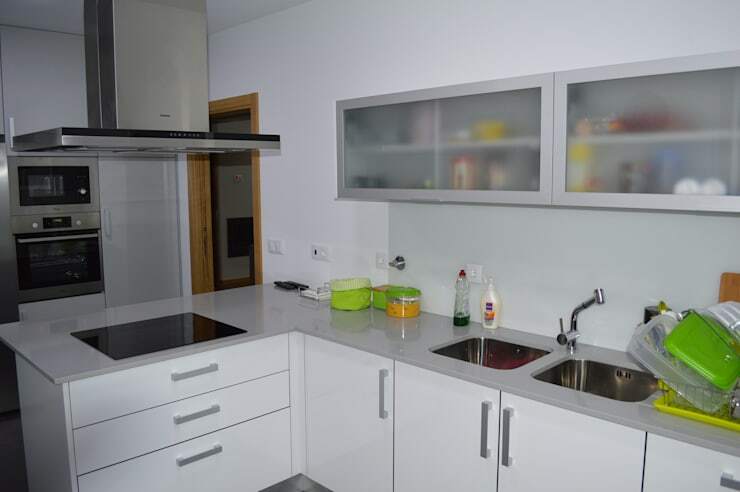 This large kitchen allowed for the development of a modern kitchen table that combines a work space for cooking and preparing food with a dining table. The use of red, black and white creates a distinctive appearance. Have a look at these kitchen islands to treasure for inspiration for your own home. This is another great example of a kitchen island, which features a stove and sink as well as dining seats. The use of white works beautifully with the dark violet walls. This kitchen features a large kitchen island with plenty of drawers and storage units. It can also be used as a dining area thanks to the bar stools that surround it. 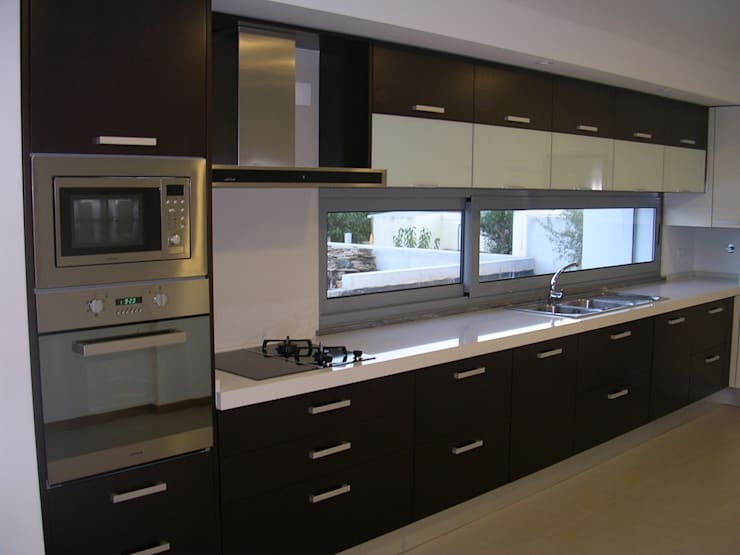 This design features upper cabinets made with transparent glass. This allows for easy access of cutlery, crockery and accessories and creates a slightly sophisticated look and feel. 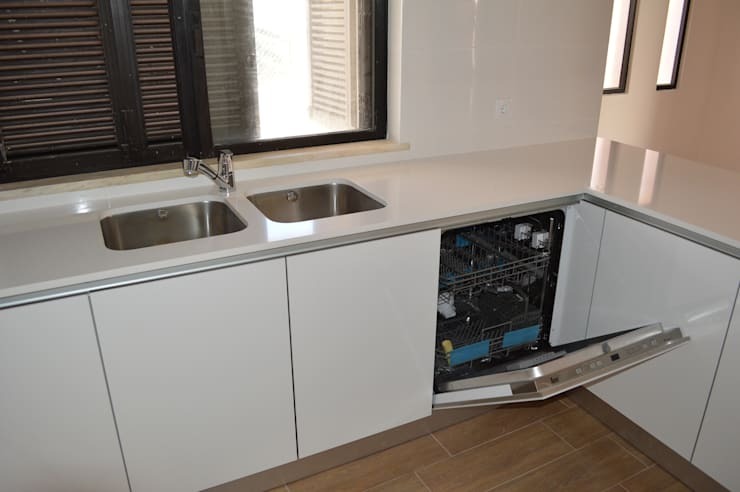 In this design, we come across a built-in dishwasher that is installed under the counter tops so that it looks like it is part of the kitchen cabinets. This contributes to the space of the kitchen and gives a sense of cleanliness and order. 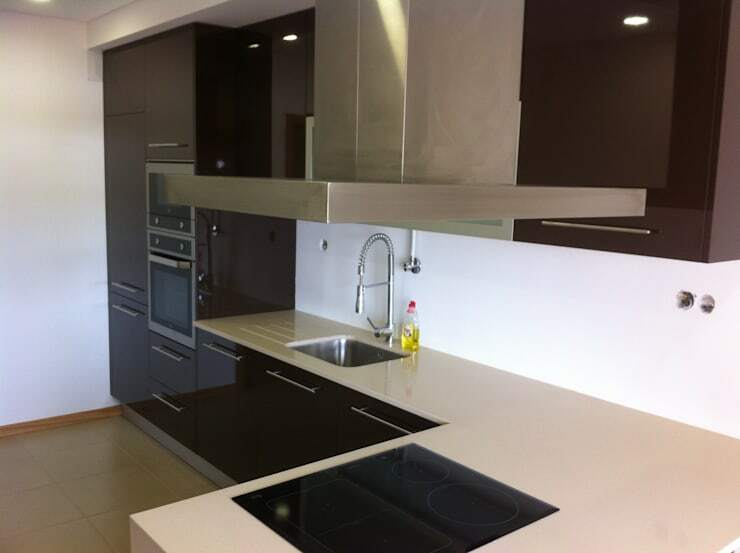 White cabinets help give that kitchen an elegant appearance despite the simplicity of the design. The interior design of this kitchen uses a modern style to make the most of space. The appliances are integrated into the storage units and the drawers and cabinets are neatly organised for an orderly and functional kitchen. The kitchen cabinets in this space have been installed along the long space, freeing up the rest of the floor for movement. The dark colours bring a very elegant touch to the room. 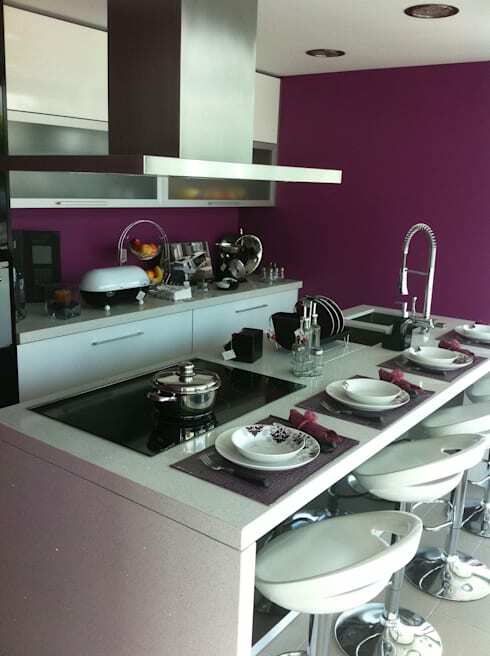 Use bright colours in the kitchen decor to cheer the space up and give it some personality and charm. 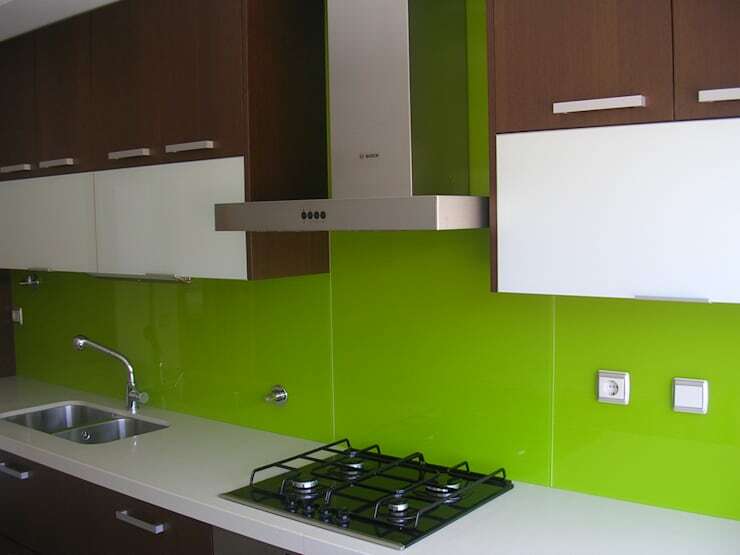 In this kitchen, we can see how the bright green colours on the walls creates a beautiful look and feel. It also works in harmony with the rest of the design. Also have a look at these Beautiful Kitchens: 7 Ideas To Decorate The Walls. Which is your favourite kitchen design?